Today more than ever, technology is redefining the way we interact with historical narratives. What is technology’s role in historic preservation? And how can it boost awareness of historic preservation and architectural heritage? How can we leverage new digital channels to engage broader audiences and promote a deeper interest in preserving the past? These questions point to a larger conversation about tech as a powerful avenue for storytelling. From audio guides and apps to augmented reality (AR) and virtual reality, technology has seemingly limitless potential to raise awareness and engage visitors, and many historic sites have begun using creative new tools and techniques to bring a preservation narrative into the digital age. At Cuseum, we work with a broad range of historical and cultural organizations to help them better engage and delight their visitors using digital tools. Through our experience, we’ve found a variety of strategies that help organizations of all shapes and backgrounds emphasize their history. 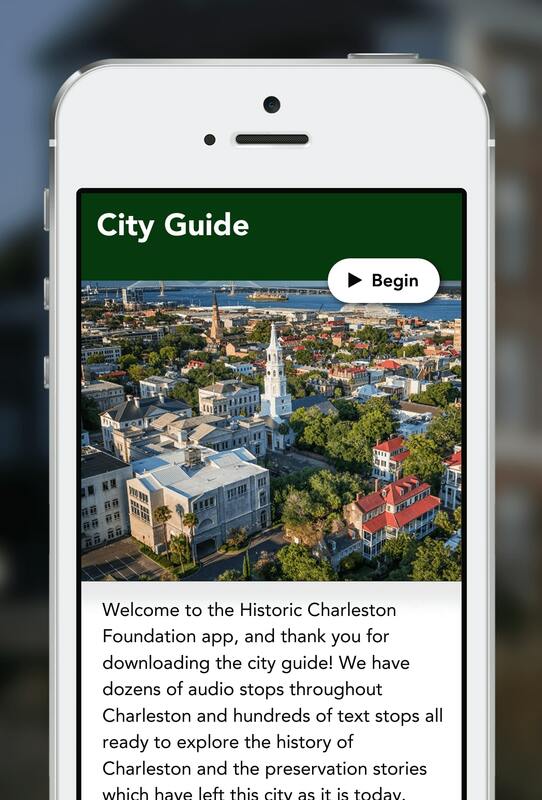 The Historic Charleston Foundation in Charleston, South Carolina, recently launched a new mobile app. Created in partnership with a team of engagement gurus from Museum Hack, the app serves as a guide to their two museum houses and tells a larger, nontraditional story about preservation. Not only does it educate visitors about the unique history of the sites but the app also raises awareness about why historic preservation is important. It creates an educational and personal experience by emphasizing history as an integral part of Charleston’s identity. Historic Charleston Foundation also uses social media platforms like Instagram to tell the story of Charleston and advocate for the importance of preservation. Lauren Northup, director of museums at Historic Charleston Foundation, described the organization’s Instagram as “a love letter to Charleston” designed to bring the quiet beauty and extensive history of the city to life. Fair Lane Estate in Dearborn, Michigan, is the storied home of Clara and Henry Ford as well as one of the first historic sites to be designated a National Historic Landmark. The estate has launched a variety of digital engagement projects in recent months, including a new digital audio guide, a unique tool for engaging visitors while the museum is closed for renovations. Additionally, a new interactive 3-D portal and highly visual social media updates pull back the curtain to provide an inside look into the restoration process. Guided tours presented through the digital audio guide offer a glimpse into the past along with information about current restoration plans and programs. An interactive map assists with wayfinding and helps both onsite and remote visitors navigate to notable places that may be difficult to reach otherwise. Many historical sites and organizations now offer walking tours that show visitors the significance of historic preservation not just to the site itself, but also to the surrounding community. 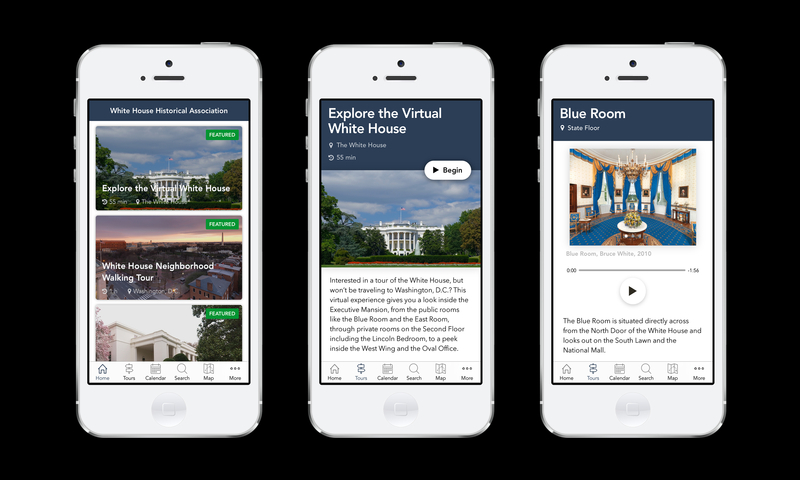 Organizations like the White House Historical Association have leveraged technology to enhance their visitor experience and make the rich history of the White House more accessible to all. WHExperience, a new mobile app built in partnership with Amazon Web Services, features three tours: a guided tour designed to complement an in-person visit, a walking tour of the surrounding neighborhood, and a remote virtual tour for people who cannot visit onsite. Through its mobile app, the Wistariahurst Museum in Holyoke, Massachusetts, offers tours of the property as well as walking tours of the nearby historic district to emphasize the historical significance of the city. Each tour provides a slightly different lens on the space and its narrative—for example, one is focused on the textile and paper industries that flourished there. These organizations have one thing in common: they all use technology to illustrate the unique histories of their sites while also bringing attention to the importance of historic preservation for the surrounding communities. Highlighting preservation efforts and architectural heritage isn’t limited to historic groups or organizations—it’s also a highly effective strategy for engaging art museum visitors, who might be just as intrigued by the historic buildings as they are by the art housed within! The Frist Art Museum in Nashville, Tennessee, has used technology to highlight its building’s historic and architectural significance. The building is on the National Register of Historic Places, one of the last remaining examples of 1930s architectural style in its region. 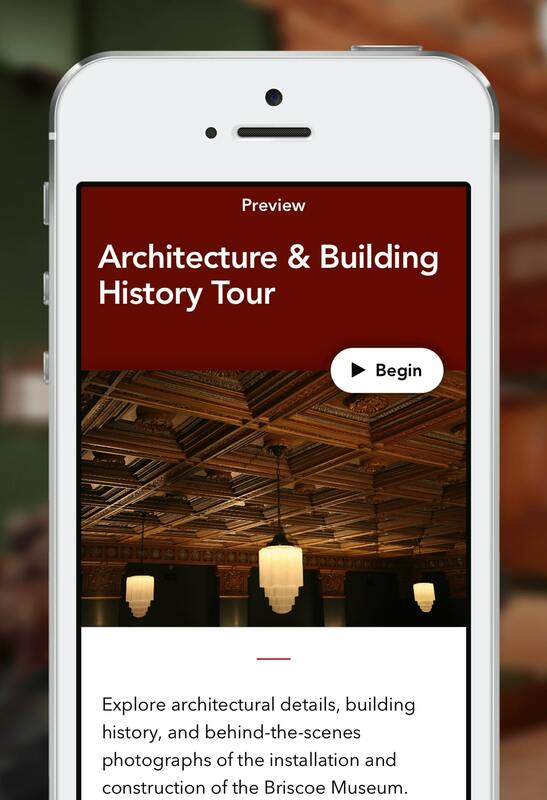 To emphasize this overlooked history, the museum developed a content-rich smartphone tour that informs visitors about the historic significance of the building and the importance of preservation. Many other museums have done likewise, including the Briscoe Western Art Museum in San Antonio, Texas, which found its home in San Antonio’s first public library. A brief timeline available in the app’s “Architecture & Building History Tour” describes the use of the site from 1903 onward, tracing its journey from a library, to a circus museum, to the Briscoe’s home. Technology allows museums and historic landmarks to not only engage visitors but also create memorable, immersive experiences that show why preservation is important instead of simply telling. Visitors can connect with rich and diverse historical narratives that bring history to life. Technology has proven to be incredibly useful when it comes to engaging and educating visitors about historical narratives while also raising awareness about preservation. New tech trends and ideas, such as AR, pop up every day, and historic sites and museums can use these new technologies to their advantage. AR has recently gained immense traction in museum settings. The Pérez Art Museum Miami, for example, hired local artist Felice Grodin to create digital works as the basis for an interactive AR experience that launched in December 2017. AR has the potential to transform the way we engage with the world around us. Given its ability to overlay information through visual layers, AR is a dynamic and interactive tool that helps brings history to life. AR allows historical sites and museums to show visitors why preservation is important by bringing history to life more vividly than ever. Historic sites and museums can use phone apps, AR, and new technologies still to come to educate and engage visitors. Brendan Ciecko is the founder and CEO of Cuseum, a platform that helps museums and cultural organizations engage their visitors, members, and patrons.